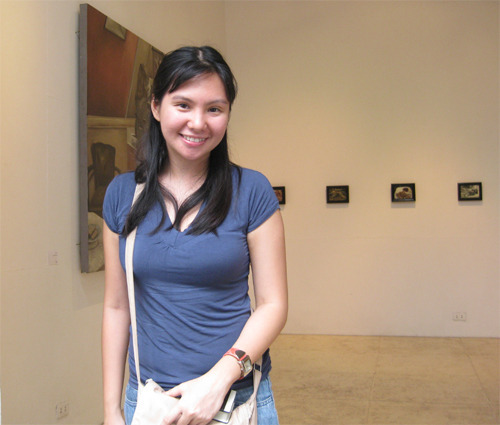 Mina V. Esguerra is a best-selling author and indie publishing advocate. She writes light romance/chick lit/new adult fiction (My Imaginary Ex, Fairy Tale Fail, No Strings Attached, Love Your Frenemies, Interim Goddess of Love and That Kind of Guy). She is also an editor, communications consultant, wife and mother. Visit her site at minavesguerra.com. 1. From the conception of an idea to the finished novel, please describe your workflow. The chances of me finishing a novel go up if I conceptualize the last scene first. So I tend to start with brainstorming that, and don’t write until I’m excited about that last scene. And then I outline, working backwards almost. What needs to happen to lead up to that last scene? And what would be the best place to start? I try to get everything down on a very detailed chapter treatment — but I remain flexible and tend to shift things around while writing it. But the outline keeps me focused. Then I give myself a schedule, like how much time to write per day, or how many words per day. Have not been able to follow this though, since having a baby. But it worked before, so maybe it can work again when she’s older. Then at some point, the draft is finished. I let that sit for a few days, and then go back to it to see if everything works. Maybe at that point I’ll send it to an editor, or do rewrites. Eventually I tell myself that it’s done, or nothing more should be done, and then I work on publishing it. 2. What’s the greatest writing advice you’ve heard? Worst? (The short version is something like “just do it”, haha.) And it’s true. I hear so much conflicting advice about every single thing, and if I took everything seriously I’d never finish. The worst – Well, not exactly the “worst writing advice”, but I notice that when I’m told to write something because it was my “duty” to, I never complete it. And it’s never as fun, or as fulfilling. 3. What are the tech tools (gadgets, apps, etc.) that you can’t write without? Tell us what you like and dislike about them. 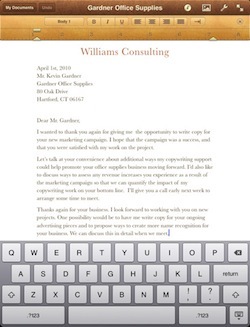 I write using the Evernote app right now, and I’ve been using Pages on an iPad, but I can’t say just yet that I can’t live without them. Pages for example has that annoying quirk of not being compatible with Dropbox. And what I do now on Evernote is what I used to do on Notepad, except for the syncing across devices. But I do adore my Acer netbook with 6 hour battery life! 4. Do you have any bad writing habits? If yes, what are they? I browse instead of write, if there’s an Internet connection. I also eat while writing, but I don’t feel as bad about that. 5. Which character/s in a book, movie, comic strip or TV show best describes your life and why? 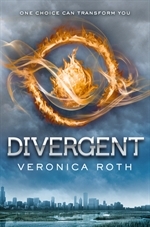 I am feeling a lot like Tris of Veronica Roth’s Divergent lately — kind of being pushed to be brave, but somehow enjoying the leap anyway. 6. If you were to be stranded in a desert island and you could only have 1 book, what would it be? 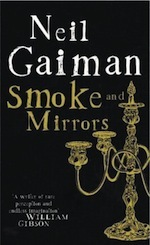 Neil Gaiman’s Smoke and Mirrors. It’s the kind of thing that inspires me, and that stint in the island might just be productive that way. 7. As an author, what is a question you wish people would ask? And what would be the answer to that question? “Are you deliberately vague about your main characters’ physical features?” Yes. I grew up on YA novels describing main characters as “five feet six, wearing size six clothes” but I don’t want to go into that much detail. I don’t want it to matter that much unless it absolutely has to.